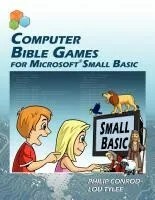 Computer Bible Games is a curriculum using 10 lessons/project to teach children how to use Microsoft Small Basic. 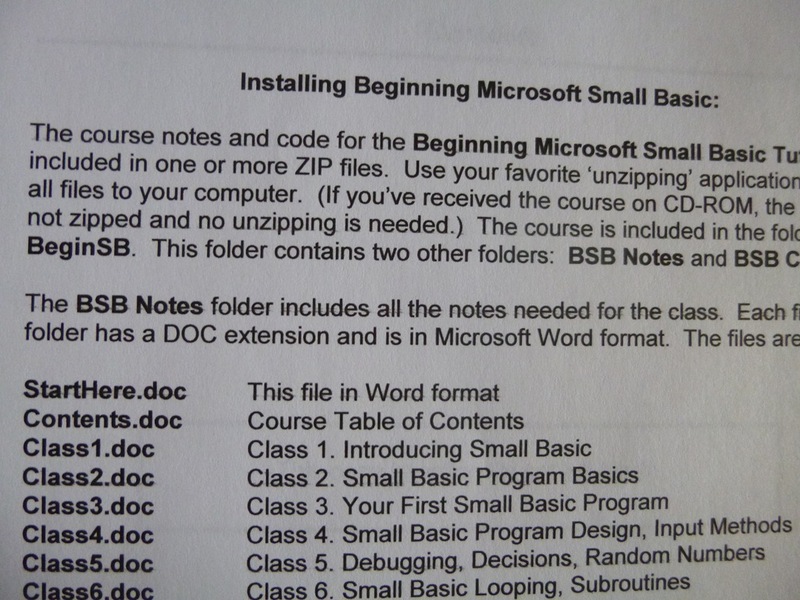 Links and instructions to download Small Basic to your hard drive are given. 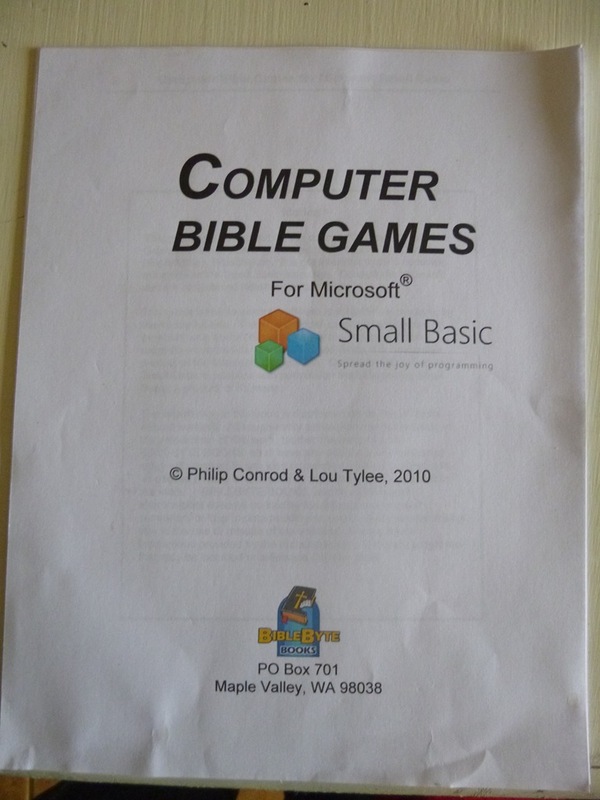 Once you download Microsoft Small Basic, the first lesson introduces you to Computer Bible Games and Small Basic. The student opens small basic, opens a welcome file, and then executes the program. After saving it to their name, the close the file. Reading through the information, (reasons to learn Small Basic) downloading the program, encouraging the student, and working through Lesson 1 – depending on the student, in an hour or two they have been introduced to computer programming and are well on their way to being a programmer! In the second lesson the student opens the program and learns about the parts of the program that caused the screen to pop up. Learning about comments, titles and such. Each lesson builds on the next, learning variables, always programing always being successful. We printed out some of the lessons and downloaded them to the Kindle Fire. My 12 year old son enjoys programing games as part of his favorite online game. However, he gets stuck if the ‘scripts’ that he copies have an error. I liked that the lessons so far have broken down how to read the ‘code’ and make adjustments to it. I printed out the Contents so I could see what lessons were coming up. On the Kindle, the titles are Class 1 through Class 13. 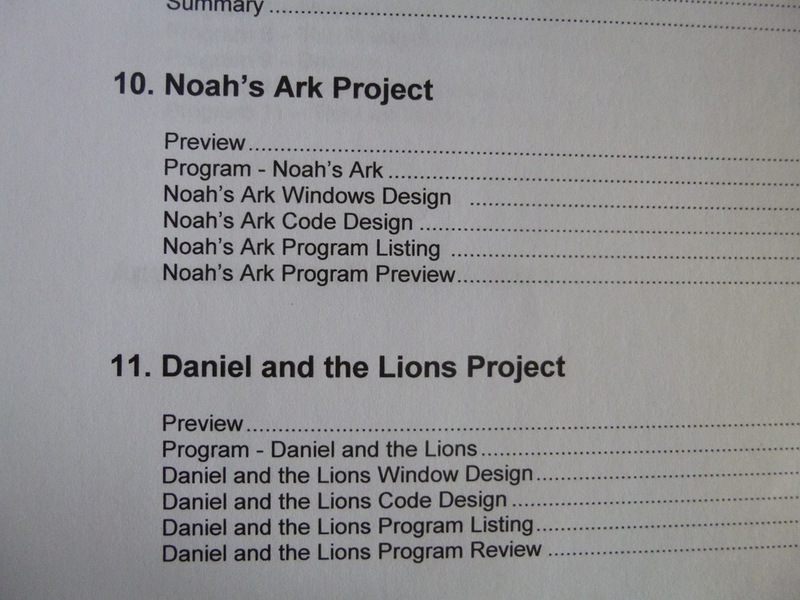 The program also comes with several files for the programs, graphics and text helps. We are eager to continue on the lessons to get to Video Games created! Each lesson is simple to read by the student. Jon was able to work on lesson 3 and 4 mostly on his own. Just this week, my hard drive on my computer crashed and I lost his working photos and notes. 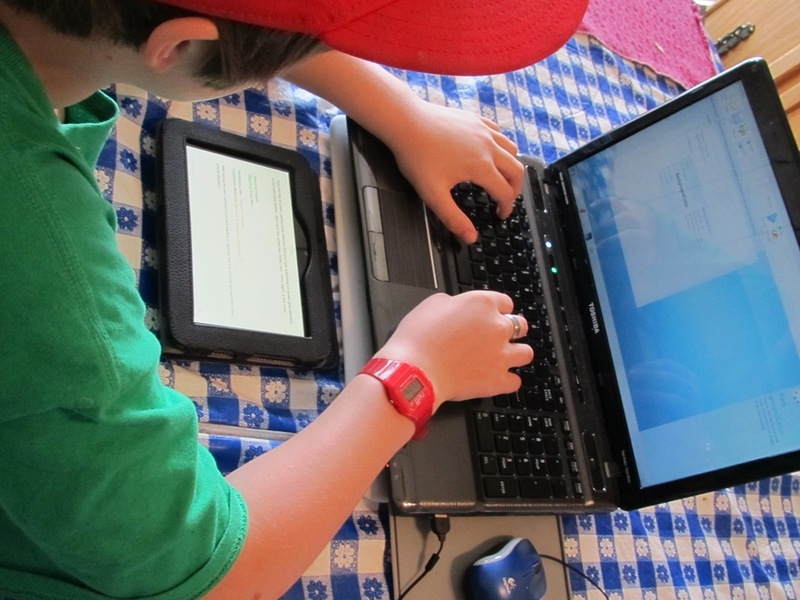 Joyful part – my boys helped me to re-program a new hard drive and fixed my laptop! I think they will benefit from having software programming to go along with their hardware repair knowledge and installing other’s programs. We recently watched a video with Bill Gates and others saying how much the world is lacking in programmers. People think it is confusing and too difficult to learn. Or that only certain math/science types, a favored few, can grasp it. This program shows what they were saying – that anyone – at any age – step by step – may learn how to program. This curriculum has already helped Jon in his gaming programming on line, and will continue to benefit him. It increased his online confidence. He definitely will be using programing, graphic design, and web development throughout his life as it is already a passion. Bottom line – if you are looking for a simple successful way to introduce computer programming – this is it. 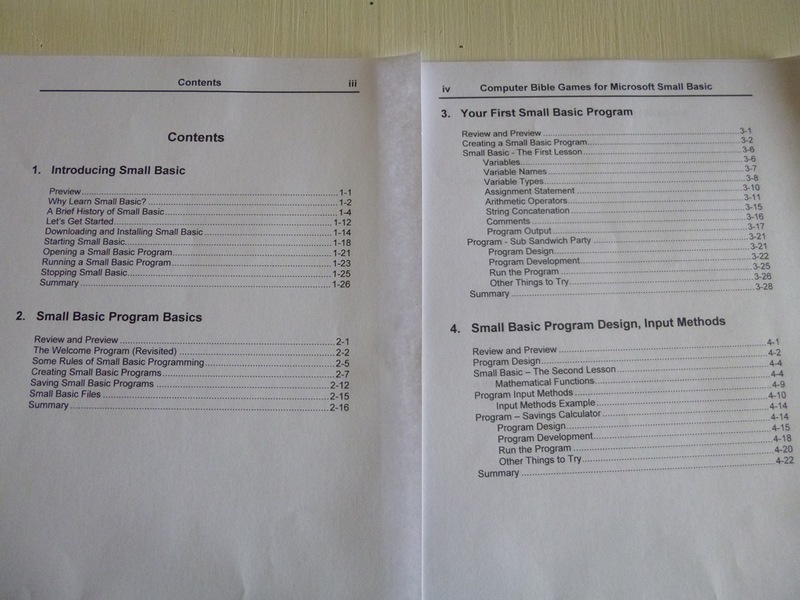 If you prefer to have a version for charter schools, or would just rather not have “Bible Games” they offer another choice that is secular – Beginning Microsoft Small Basic. Our crew reviewed both choices, so click through the banner below to see the differences. This program is designed for middle school students. 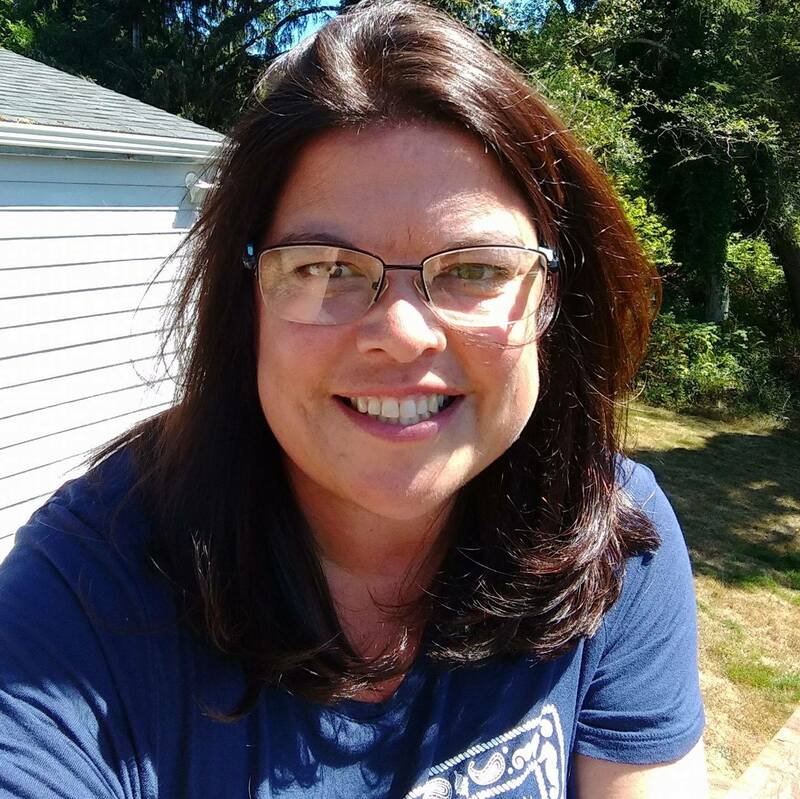 A student would need to be able to read, comprehend, follow instructions, and interact between text on a page or second screen, and the small basic program. in exchange for an honest review after using it for several weeks. 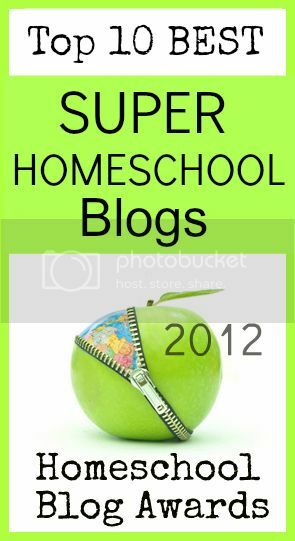 This entry was posted in Computer, Reviews and tagged Computer, HomeSchool, HSBlogger, hsreviews, programing, Software. Bookmark the permalink.